Before i begin, a big thanks to reddit/user/ab0mbs for the initial script for this project! For the longest time i have always Dart Remote Tools in my WinPE boot images. Dart is included in the Microsoft Desktop Optimization Pack which is available if you have Software Assurance with Microsoft. 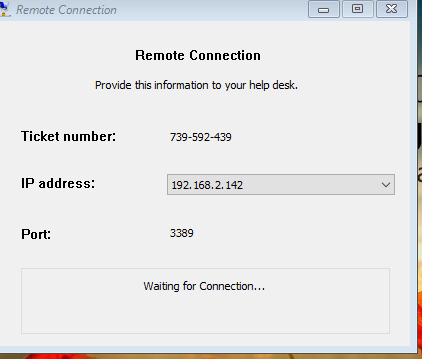 Dart’s Remote Tools allows you to remote control a WinPE session, traditionally the user would supply a tech with the IP, Port, and Ticket Number for connection. 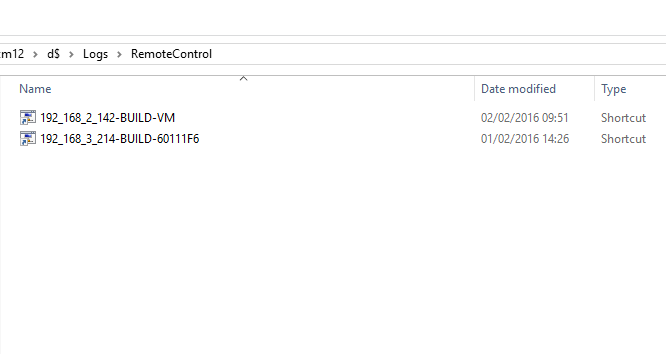 End Goal: At the end of this guide, your boot images will automatically generate a shortcut file to allow users to easily remote control every machine that boots from your SCCM Boot wim, you will have a folder set up like this which will generate shortcut files to DART remote control. Install DaRT 8.1 or 10 onto a workstation. You will need to modify Winpe_Dart.ps1 and include your credentials and share location. The script uses a password file, key file and key to secure the account password for mapping the drive. For more information on generating secure credentials see this post. Once you are happy that you have your files in order, go ahead and unmount your wim file. Bring this Wim file into SCCM and set it as your default PXE boot file,, add your drivers, also don’t forget to associate it to your task sequences. Oh and dont forget to add powershell component to your boot image. For any questions please leave a comment and i will get back to you. On this step: RemoveDartShortcut.ps1 > Into your OSD Script folder, where is the OSD Script Folder located? Does this need to be a MDT Task Sequence? The Link appears to be dead. Do you have new link? Thanks. Works great. Anyway to hide the powershell window or change the size of it? I've tried to edit the unattend.xml but no matter the powershell is always displayed and would like to hide. Create a SCCM package that's just a folder and put it in there. I am having issues. When I go through the “Create Boot image using MDT”, I am still only getting dart8 and not dart10. I have updated my ADK to 10 and updated MDT to 2013 update 2 and have copied the Toolsx64.cab file to the “C:\Program Files\Microsoft Deployment Toolkit\Templates\Distribution\Tools\x64” directory. Any ideas? You definitely installed dart 10 and grabbed tools.cab from that installer ? Where is the location to put the RemoveDartShortcut.ps1 ? You can put it anywhere you like, i have mine in a generic osd scripts package. Call the removal PS1 after the setup windows/Confimgr step. This works fine for me but after a reboot and still on the same boot.wim it loses connection. Do I have to run the powershell script on every reboot ? This is expected. The script will not persist past the initial winpe stage. I have not tested this surviving a reboot back onto the boot.wim.